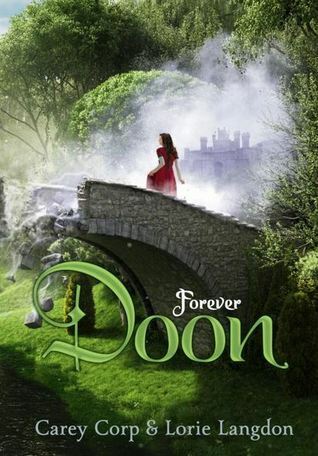 Synopsis: With the witch of Doon on the throne, Jamie believed dead, and Duncan and Mackenna trapped in Alloway, Veronica has no choice but to put her grief aside and prepare her remaining followers for the impending battle against the false queen and her forces. But while on a covert mission to steal a powerful elixir from the castle, Veronica discovers her true love may actually be alive, and fighting a battle of his own. Review: After binge reading this series the past few weeks I was interested to see how it was all going to end. This last novel was different than the others because instead of switching between Vee and Kenna’s POVs, there was also Jamie and Duncan’s as well. The series was getting better and better with each book but I find this one felt a little flat with me. It was almost getting out of the Very Young Adult genre with better dialogue but then it all came back for this one. Like calling zombie skeleton beings “skellies” made me cringe so bad every time I read it. There is also a heavy Christian vibe I got out of the books. MacKenna was awful in this as well. She still made stupid drama musical references and continued to say “Holy Hammerstein”. If I could read this series again I would prefer to only read it from Veronica’s perspective/voice. The degraded language: besties, bff, skellies etc. Have you read this series? Are you excited for the last installment of the Doon series? Comment down below!